Shifa Gardi, a journalist for the Kurdish Rudaw Media Network, has died in a roadside bomb explosion while covering the Iraqi advance towards Islamic State-held Mosul, her employer reported. Her cameraman, Yunis Mustafa, was wounded in the blast. — Falah Mustafa (@FalahMustafa) 25 февраля 2017 г. “Shifa Gardi was one of Rudaw’s most daring journalists. 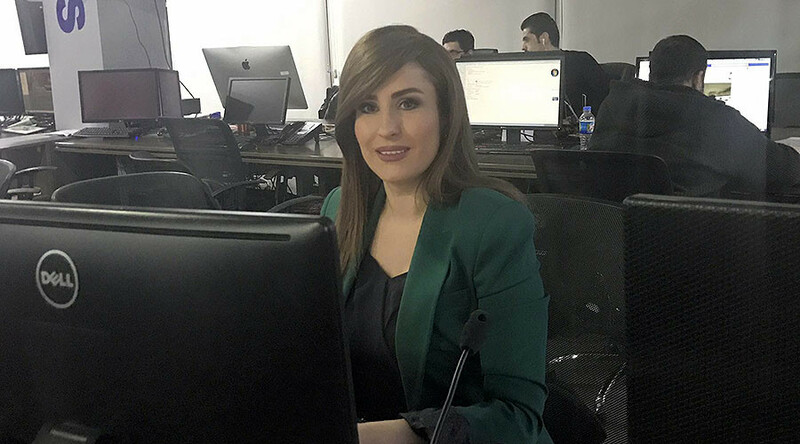 She was known as a renowned skilled journalist in Kurdish news media and brought outstanding coverage to Rudaw TV right from the beginning of its establishment,” said a statement from the network, which broadcasts out of Erbil, the unofficial capital of Iraqi Kurdistan. “A brave journalist, and a model for young women,” tweeted Falah Mustafa, head of the foreign department of Kurdistan’s Regional Government (KRG). — Bayan Sami Rahman (@BayanRahman) 25 февраля 2017 г. Dozens of people gathered for a spontaneous vigil outside the broadcasting studio in Erbil, some holding up printed out portraits of Gardi. According to the Committee to Protect Journalists, Gardi is the 179th journalist to die in Iraq as a result of her professional activity since 1992, the vast majority having been killed since the toppling of Saddam Hussein in 2003. Iraqi forces, supported by a US-led international coalition, have been engaged in a battle to re-take Mosul from Islamic State terrorists since October last year. While it is unclear who was responsible for Gardi's death, roadside bombs are a favored defensive tactic of the jihadists.